When you have a large group to transport, the best option is a bus that can accommodate all of your passengers. 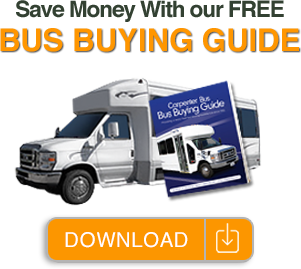 Carpenter Bus Sales has more Small Buses For Sale, Medium Buses For Sale, Large Buses For Sale, Used Buses For Sale, and Wheelchair Buses For Sale, All Buses for Sale than any other commercial bus dealer in the United States or Canada. Our inventory includes large buses from manufacturers such as Starcraft, Glaval, Berkshire Buses, TransitWorks Buses and Braunability Buses. At Carpenter Bus, any bus that carries 31 passengers or more (including the driver) would be classified as a large bus. Large buses offer organizations the ability to have one vehicle that can carry all of their passengers without requiring the need for multiple vehicles. It is more cost effective, for example, to have one large bus that carries 33 passengers instead of two buses that carry 16 passengers each. The most popular large bus in our inventory is the Starcraft XLT 44/40 passenger bus. This large bus is configured to carry either 44 passengers or 40 passengers with rear storage. This rear storage configuration is accomplished by folding up the back two seats on the rear row. If you have are in the market a bus to transport a large group, we have plenty of large buses for sale in our inventory that can meet and exceed your expectations.